WHERE DO I ENTER THE COUPON CODE I HAVE RECEIVED? Once you have chosen the item (even more than one) that you want to purchase, click the “Add to bag” button. In the Cart page, under the Bag Totals, there is a Coupon Section: enter the coupon code in the white rectangle and then click “Apply Coupon”. In the “Bag Totals” section, you will see the initial amount, the discount and the total amount to be paid. 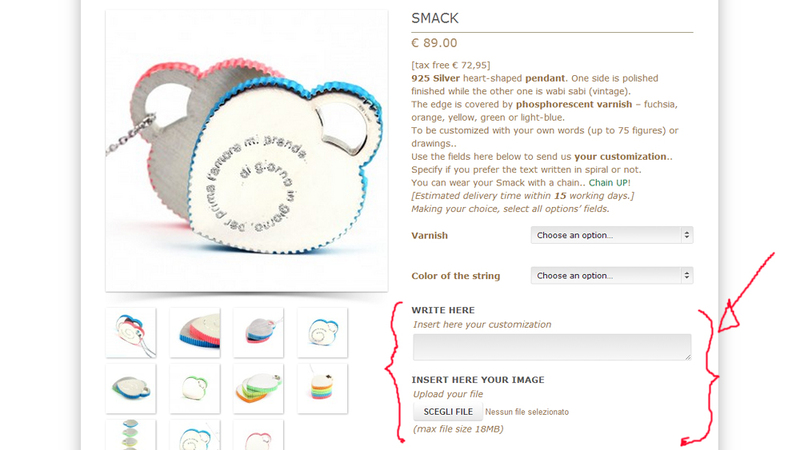 On the website each personalized item is characterized by fields of customization (“Write here” and “Insert here your image”). If you want to customize your jewel, complete those fields, before adding the item in the cart. All customization costs are included in the price. 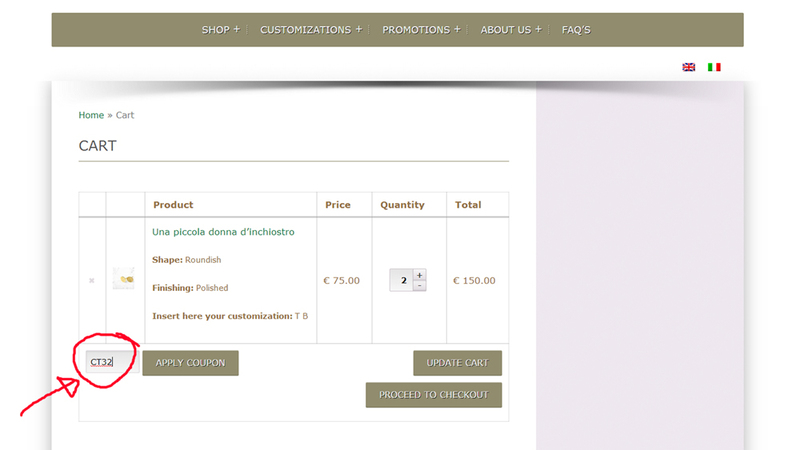 You can also customize your Maschio jewels later. If you have any doubt about the feasibility of the engraving, look at our samples on the website (MENU –> CUSTOMER SERVICE –> DRAWINGS & SCRIPT); otherwise, write us. We will be happy to help you with your customized idea. WHAT IS MASCHIO'S RETURNS POLICY? Clarity and simplicity for the parts. Write us, explaining the reasons for the unfulfilled expectation and make arrangements for the return. We are a small artisan and commercial company: let’s talk! Honesty and common sense from the parts. Return shipping costs and insurance (recommended) are under the responsibility of the sender. We always suggest our customers, just only use, private courier we daily are dealing with (as: UPS, DHL etc.) for these tasks. Customized jewelry with engraving, timbering and made with custom design on, will be evaluated – in the case of exchange or refunding, in consideration of the working time and costs required in making depersonalization: commonly the “less than” 30/40% of the cost originally paid. (Don’t forget to get advise on this topic at the time of purchase). We restore all jewels without any charging cost only when they returned within 60 days from the date of the receipt/invoice, just if properly used.